The story of Ram Chandra Agarwal of V2 Retail reads like a story from Ripley’s Believe it or not. The man has lost the use of both legs due to polio and cannot walk without the aid of a crutch on each side. He hailed from a poverty stricken family and lived in a chawl. He worked as a low-level employee at a salary of Rs. 300 per month. 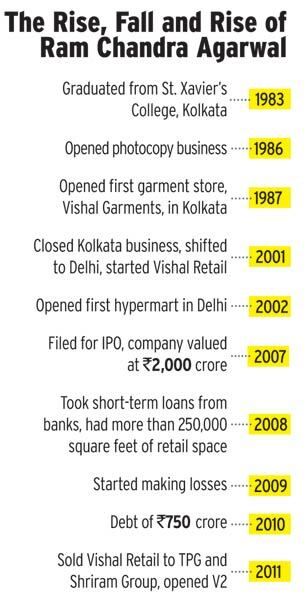 Thereafter, he started a retail garments business by the name of ‘Vishal Retail’ which became so popular and so large that it was regarded as a strong contender to the throne occupied by Kishore Biyani’s Pantaloon Retail. Ram Chandra Agarwal got carried away by his success. In a desperate bid to cash in on the popularity of Vishal Retail and rake in big bucks during the stock market boom of 2007, he borrowed heavily to set up facilities. Unfortunately, the Lehman crises happened in 2008 and the stock markets went into a tailspin. Vishal Retail went into insolvency because it could not repay its creditors and Ram Chandra Agarwal was back where he started – as a pauper. A normal bodied person would have crumpled and given up. What can one expect from a physically challenged person who can barely walk? The astonishing part is that Ram Chandra Agarwal did not give up. 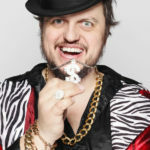 Instead, he restarted the retail business from scratch in the name of V2 Retail. This time, Agarwal was careful to avoid the mistakes that he had made in Vishal Retail. He ensured that he did not over extend himself and calibrated his progress in a slow and steady manner. One can sense the extent of Agarwal’s steely determination that when an eminent adviser opined that the “Agarwal’s background as a failure would dissuade investors and lenders”, he was not discouraged. Instead, he uttered the prophetic words “Log chamatkar ko namaskar karte hai (people salute miracles). I have restarted the retail journey. The chamatkar will happen”. 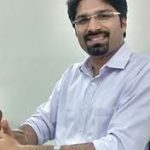 At this stage, we have to compliment the anonymous blogger known as aceinvestortrader. In August 2014, when V2 Retail was languishing at a throwaway price of Rs. 14 and a market capitalisation of Rs. 33 crore, the blogger recommended a buy of the stock. “At the CMP of Rs 14.9 and Market Cap of just 33cr, there’s very good value on the stock. The downside looks protected whereas upside could be humongous,” aceinvestortrader said. “The results could be a game changer,” he added in a prophetic tone. It is unbelievable that today, barely 24 months since the blogger issued the buy recommendation, V2 Retail stands tall at Rs. 148 with a market capitalisation of Rs. 370 crore. This means that magnificent gains of nearly 1000% are on the table. As aceinvestortrader rightly pointed out, the results have been the “game changer”. V2 Retail has been growing at a scorching pace in terms of the top line and the bottom line. It has demonstrated that it can replicate the success model of Vishal Retail but without repeating any of the mistakes that the latter committed. We must note that V2 Retail is not a fluke stock pick. Instead, the blogger has demonstrated his superior stock picking skills by recommending a buy also of Cupid Limited and Prima Plastics Limited. It is notable that both stocks were languishing at the time that aceinvestortrader recommended them and soon went on to become mega multibaggers. At this stage, we have to compliment Porinju Veliyath as well for his keen eye in spotting multibagger opportunities. On 22nd June 2015, he bought a massive chunk of 126,459 shares of V2 Retail in the name of ‘Sunny Veliyath Porinju’ at the price of Rs. 39.54 each. The total investment was Rs. 50 lakh. The stock is up a magnificent 252% since then. Has Porinju Veliyath sold off his holding in V2 Retail? Prima facie, Porinju appears to have sold off all or a major part of his holding in V2 Retail before 31st March 2016. One can draw this inference because the last person in the list of top-10 shareholders of V2 Retail as of 31st March 2016 holds 67,418 shares. If Porinju would have continued to hold his quota of 126,459 shares, he would have figured quite high in the list of major shareholders. 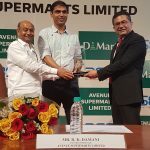 D-Mart IPO may send V2 Retail soaring? The punters at MMB also deserve to be complimented for their sharp thinking. 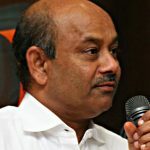 They are already laying bets that the proposed IPO of D-Mart, the successful retail chain run by legendary Billionaire investor Radhakishan Damani, will result in a “re-rating” of the entire retail sector and send V2 Retail soaring into another orbit. Whether this will in fact happen or not requires to be seen. Ram Chandra Agarwal’s achievements are very inspiring to us. The way that he overpowered his physical challenge to create a massive empire from scratch – not once but twice – is very inspirational indeed. It shows that no task, howsoever difficult it may appear, is impossible if one has the grit and the determination to accomplish it! This was first recommended by Valuepick on march 8, 2014 @ 10 rs. Kindly check the link..
full credit to this blooger valuepick. aceinvetortrader just copied his idea. Partly true! Lets not use harsh word like copied. It takes time to develop the conviction and lets not forget that most of his ideas are having a great run. You might have forgot stocks listed in market are visible to everyone, so everyone can analyze them and if stock is good most likely every analyst will sooner or later become confident about it. It doesn’t mean everyone copied your idea. It is publicly listed business, you by no means can take credit for it anything. Well value picks spotted this first. Aceinvestor came out later, though aceinvestor is also a good stock picker. Valuepicks is in a different level altogether. He has names numorous multibaggers like v2retail. Rightly said bro…what you are going to do with their identity? Be grateful for their selfless service unlike other nonsense tv celebrities and so called analysts. I got so much learning experience and profits from them though i missed couple of early gems like Kaveri seeds, Arrow coated products, Caplin Point, La opala, DCM foods from value picks and Prima plastics, Cupid (both sold very early after small profits) from aceinvestortrader. But still holding Granules India, V2 Retails, Amines and Plasticizers, Vidhi Dye after learning past mistakes and got huge returns. Not planning to sell for atleast another 5 years. If you really want to make huge wealth, research their ideas, create your conviction and hold atleast for few years. 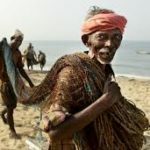 First time when he went rags to riches, the promoter relied completely on his luck and did not employ appropriate management tools – most importantly, financial management tools. I guess that was because he may not have had appointed right management personnel at that time to advise. Has he done it now? How strong is his management? What will make us believe that he will not repeat mistakes – then, we blamed it on 2008 crisis. What is the guarantee 2016-17 does not throw crisis from US-Europe belt (with effects in emerging markets)? Not taking risks is no business, he needs to take calculated, professionally managed risks in business to grow. Otherwise, competition will eat him up the second time around! In case of V2 Retail the margin of safety at Rs 14 is not same as current price.But still believe it can go further long w.r.t stock price. As posted in the VP blog, a business was available at a price of Tea.Those who bought at that time including me benefited. Good one on Ram Chandra Agarwal, I did not know about him. Whatever, both Value & Ace are superb!